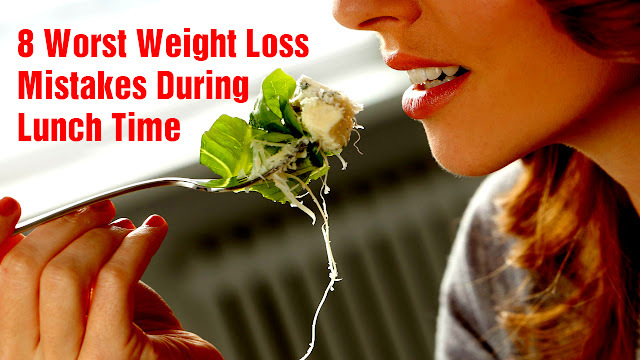 8 Worst Weight Loss Mistakes During Lunch Time: Most people have lunch while standing, in between or not at all. For the weight loss success that is fatal. At half past twelve, the stomach starts to growl. Time for lunch! But when the work is already stacked on the desk, that is unfortunately often in short supply. However, in order to function, your body needs to be regularly provided with nutrients - especially if you want to lose weight, otherwise, the next food cravings are already pre-exploited. 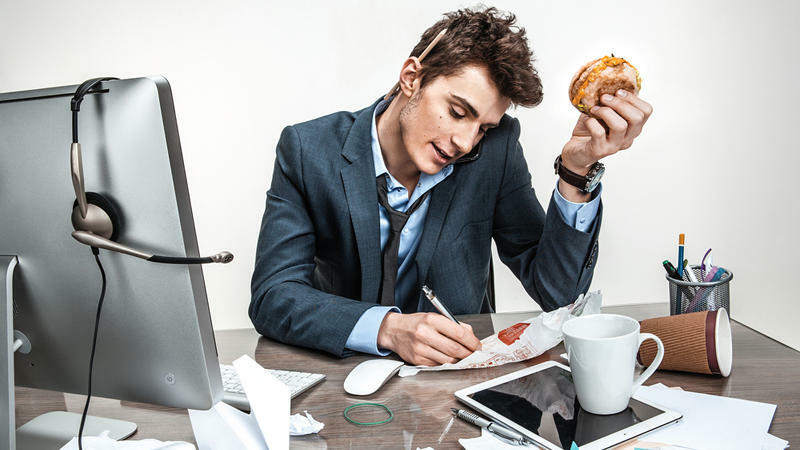 Avoid these 8 food traps at lunchtime, as they will sabotage your weight loss success and, incidentally, even add a few extra kilos. Are you one of those candidates who quickly grab a snack from the cafeteria and sling it down on the way to the desk? Then, unfortunately, we have bad news for you: according to a study, you are scooping up with 30 percent more calories than sitting. Take time to eat, it does not have to be an hour. We are all in stress and know the problem. But 15 minutes are enough for a healthy lunch. And you can certainly take that, right? 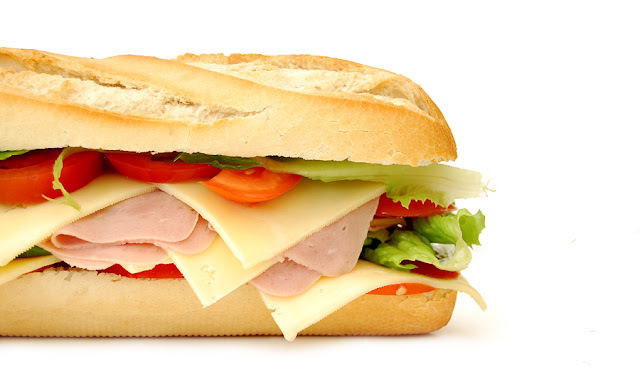 Even if your stomach does not growl, you should make lunch no later than 13:00 to 14:00. Those who wait for longer risk suddenly being attacked by a hunger for a bear and that usually ends in a huge craving with fast food and more. Every 4 hours your body needs new nutrients in the form of food. Otherwise, your metabolism goes down and that means it burns fewer calories. "What? This is a weight loss mistake?" Do not get us wrong: salad is healthy, has low calories, no fat and is therefore perfect for losing weight. But we are talking about the green leaves and raw food such as cucumbers, tomatoes, carrots. The big weight-loss trap lurks at the salad buffet in the canteen between calorie-rich dressings and toppings such as croutons or cheese, such as feta, mozzarella. 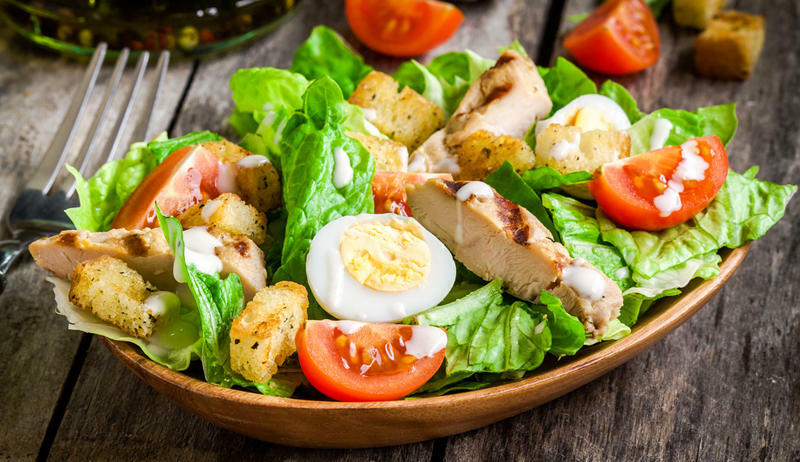 Anyone who pampers too much of it on his plate turns his actually healthy salad into a small calorie bomb at lightning speed. So in the future more salad (yes, only the green leaves), more vegetables and fewer toppings. "I'll never get full". Do not panic, just combine your salad with a roll, a pretzel or a soup. When dressing applies: less is more. A dash of vinegar, oil, salt, and pepper are enough and taste much better than the fat finished product. Having lunch with colleagues is fun, of course. Weight loss successes can be booked but so hard. Most menus are full of dishes with lots of calories to hide behind. The portions are usually very lush and are still eaten nice. It's also a pretty expensive affair in the long term. Healthier and cheaper is to boil yourself. Simply cook the double amount on the eve or pack the lunchbox for several days. Sounds boring? Not at all, precooking is under the (much cooler) name Meal Prep just back in fashion in the fitness scene. And do not worry, that does not mean that eating out is taboo, just not every day. A cold refreshment drink is part of a good lunch for most. "Is not that bad, it's light on it," you think? Unfortunately, it is false. Although the sugar is replaced by low-calorie sweeteners, they have it fist thick behind the ears. Since you only pretend to your body by the sweet taste to deliver calories, the belly quickly starts to growl again. He is waiting eagerly for the announced energy. Better: a big glass of water with lemon. A welcome slimming sin at lunch and especially "popular" when the work is stacked on the desk again. Then the e-mails are quickly checked alongside, while somebody pushes something into his mouth. The food is a minor matter and that's where the danger is. Your attention is elsewhere, so you will not notice when you are really full. In the worst case, just continue to eat until the plate is empty. The bill then comes in the form of a bloated and full belly, making work in the afternoon much harder. By the way: The same is true in front of the TV. At first glance, the packaged salad or sandwich will look like a healthy meal. But appearance is deceptive. In the dressing, the topping or the topping, the calories cheat on your hips almost unseen. And the finished products are not really that tasty either. The rule here is: Pre-cook yourself, according to the principle of meal prep (see point 4). You know what's inside and taste better. It does not have to be the same every day, but once in a while, you get it out once or twice a week. Those who miss out on lunch fight in the afternoon not only with an annoying feeling of hunger but also with an energy and management low. And only to save 500 calories at lunch? Definitely a bad idea. Your body needs regular nutrition or nutrients to maintain all its bodily functions (brain!). If it is not supplied with nutrients, your metabolism goes down and you burn fewer calories - when losing weight rather counterproductive. In addition, the feeling of hunger is getting bigger, just like the hole in your stomach. This is not only unpleasant but ends at the latest in the evening, through which the calories saved in a short time are gone again. Do not fall into these traps at lunch in the future. Long-chain carbohydrates, fiber and plenty of protein should be on the menu at lunchtime, as they fill you up for a long time and prevent cravings without breaking your calorie account.